Churches: We'd love to hear what you're doing for Advent this year. What visual(s) did you use? 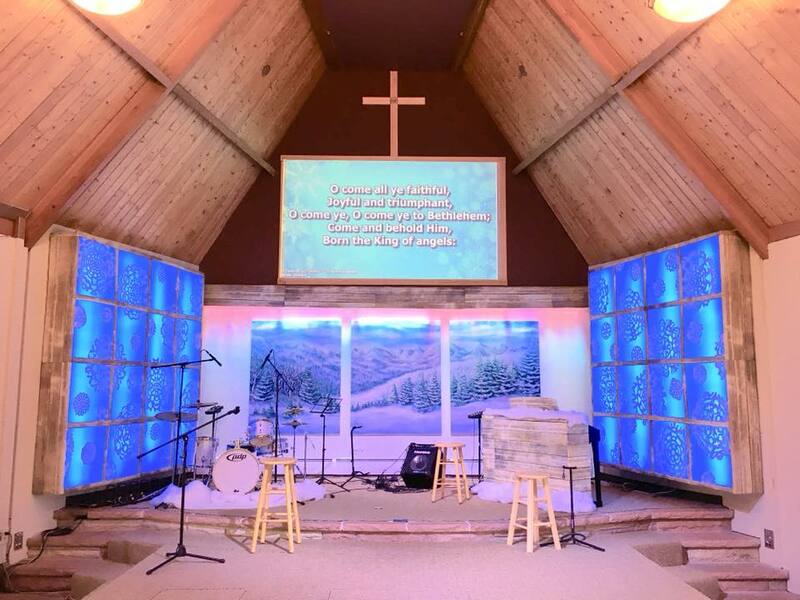 How did you make your worship space beautiful? This photo is from Sydney Yapoujian and crew at Crestview CRC in Boulder, CO.
I’m amazed by the lack of Jesus in the responses. Where is the nativity? I love visiting churches in Europe at this time of the year because their nativity scenes and crèches are stunning. Is there a reason Christian Reformed Churches don’t do this? This is an interesting observation, Hetty. Maybe people can send in pictures of their manger scenes or creches in their church if they have them. I don't think there would be any reason for CRC churches not to have them. I know we've had them in the past. Last week my church, Friendship CRC, did a choir cantata and had a 'live' nativity - a young couple with a baby - on stage during the program. It was really beautiful. I heard of a church a few years ago that invited members to bring their own creche and they were displayed throughout the church (window ledges, front, and anywhere they would fit). I was told that it was a beautiful display of a variety creches that people had collected from around the world. Thanks for that encouragement. In Poland they have competitions to see who makes the best. I’m a Nativity fan. I have one in every room of my house. I somehow don't see a way to post the photos here. Anyway, we had people color pages during the sermon that we cut out and turned into ornaments and strung around the sanctuary. It went over nicely, although sometimes, as a pastor, I wondered why no one was looking at me during the sermon!